Originally published in 1982. 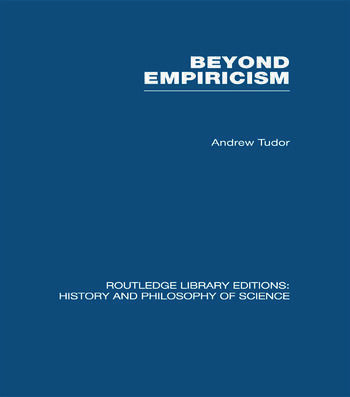 This volume explores some features of modern philosophy of science from the point of view of their utility for sociology’s self-understanding. Recently philosophers of science have broken with the empiricism once fundamental to their discipline, and have sought alternative methods of science. Founded on the belief that these developments are significant for sociologists, the book explores the failings of the old "received view" and some of the more recent alternatives. It proposes a schematic outline of the structure of inquiry, paying detailed attention to questions about the nature of theory, explanation and demonstration.